Every homeschool Christmas will involve children. Some homes will have an advent wreath, some will have advent calendars, mountains of cookies, lots of decorations, a few decorations, fruitcake, NO fruitcake, and lots more. Chances are, your homeschool Christmas will also include a few toys. Yes, toys do tend to pile up and create a lot of clutter sometimes, but they can also provide hours of enjoyment and playtime for children. They key to all of this is balance. I propose that when we think of toys at Christmas time, that we try to include as many educational toys as possible. We're all about multi-tasking here, so why not make those Christmas gifts serve more than one purpose. Educational gifts have been some of my children's favorites over the years. With three teenagers in the house, the toy buying days are mostly left for my 8 year old son. I thought I would include some favorite educational toys that my girls liked as ideas for toys that you could use for your children this Christmas. Building - You can never go wrong with LEGO. All my children played with these, although I called Ello the girl version of Legos. I was amazed several times when I would bring home a box or set of Legos from a store, garage sale, or thrift store and all 4 of my children would sit for HOURS and play with that one new set. Amazing! The Lego City and Lego Creator sets are great for the incredible builder I have at my house right now. Physical Fitness - The Wii promotes physical fitness (in some cases) and family togetherness. We've had some fun times with this set. Another tool you can use to encourage physical fitness is a trampoline. You can get a regular sized trampoline with sides on it or a mini trampoline (I would only get the Needak brand though. The others are not worth your money. This one is VERY sturdy!). My children have enjoyed jumping on these, plus it's really good exercise! Creative Play - My children also spent many hours using our set of wooden blocks. It was amazing to see how many different types of play they could come up with out of these simple blocks. They became Polly houses, boundaries, car ramps, and much more. Cooking/Science - If you have any budding chefs like I have at my house, all the cooking sets are great educational toys for homeschool Christmas giving. The Easy Bake oven sets have been around forever, but they are still a favorite with children. Now there are new cooking sets like I like the Girl Gourmet items. I'm getting my niece the Cake Bakery for Christmas. Yes, you can just use your regular oven and adult cooking tools, but there is something about getting to use a child-sized set that motivates children to cook and bake even more. I have found that these sets often spur children on to WANT to cook and bake with the regular kitchen tools. Playdoh can also promote hours of fun play and are a great addition to your homeschool Christmas. Sometimes they can "cook" and make food with playdoh and sometimes they make cars, roads, animals and people. It promotes lots of creativity. A new Playdoh set is always a welcome gift in our house. Science kits are wonderful learning tools for older elementary students. My children loved getting these for Christmas. These kits get more and more creative every year. Magic School Bus now has some great looking Science kits. I also saw a Spa Science Chemistry Kit that I know my budding Esthetician would love. You can get 1st Science kits, crystal growing kits and much more. 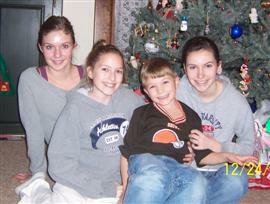 Art/Music - Cameras, ipods, and mp3 players are great gifts for older children for their homeschool Christmas. They can help learn how to take pictures, work with software, or just enjoy different types of music. We prefer the Cannon cameras, but I'm sure there are other brands that would work for you too. They are just our favorites. Some of my children have ipods and one has an mp3 player. For mp3 players we prefer the Sansa brand. Art supplies always make great homeschool Christmas gifts too. Who wouldn't like a new set of crayons, colored pencils or markers? We prefer Prismacolor colored pencils. They are nice and soft and have the most vibrant colors I have seen in colored pencils. Once you use them, you'll never want to go back to using all the other awful colored pencils that are manufactured. They have markers too. I have not used them, but I'm sure they are good. I know that Prang markers and crayons are the best. They outlast any other marker on the market that I have found. 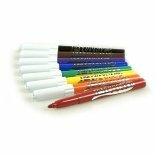 We can buy 1 set of Prang markers to several sets of other markers. I'm not sure why you can't find them in more places, but online is the best place to get Prang products. I have seen bees wax crayons and noticed how they have more vibrant colors, plus they are made with natural ingredients. We love to start our homeschool Christmas season with an advent calendar. Sometimes we all share one and sometimes (if they are cheap enough) each child gets their own. I have also purchased an advent calendar with pockets or drawers so that you I could include a little something special in the pocket for each day. You can make your own calendar, purchase one you can only use for a year, or purchase one that you can use for many years. For Girls - For even more creative play for girls, dolls have always been a favorite at our house. The Lee Middleton baby dolls are very high quality and life-like. My daughters each have one and they have become keepsakes for their children. Another favorite when my girls were younger were their water babies. They were very life-like and easy to dress and hold. American Girl dolls can become keepsake dolls along with promoting the study of history. If your doll was born during a certain period of history and has a book that goes along with her, then you are more likely to read about that time in history. 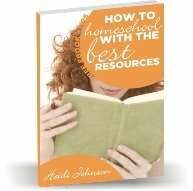 Last but not least, I HAVE to mention books as great educational gift for any homeschool Christmas. I used to be an Usborne distributor and we have lots of Usborne books in our house. I recommend them highly! Most of them are my children's favorite books. Can Christmas get out of hand? It most certainly can.... If you are fortunate enough to have family members that ask you what your children need instead of buying a lot of junk, then you can give them these links so that they can purchase educational items for your children. We don't spend much on our children every year and they don't seem to be lacking in anything. They enjoy the few things they get and enjoy spending time as a family. Christmas is about Jesus' birth and that should be the focus of everything we pursue during the Christmas season. 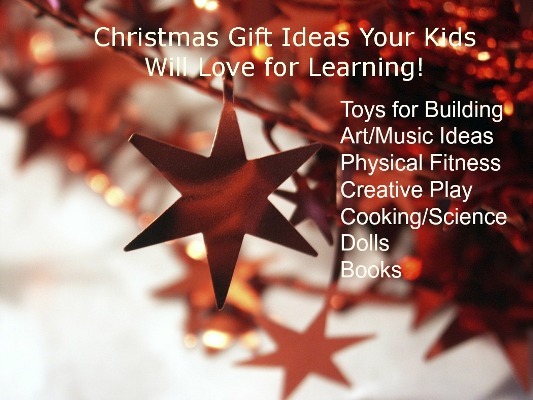 Need some homeschool Christmas ideas? Here are a few more websites I found that will give you somewhere to start. Homeschool ideas on a budget and "All About Jesus" Christmas celebration. Have A Great Christmas idea you want to share with others? Please tell us your favorite Christmas traditions, tips, and anything else you can think of that could help another homeschool Mom during this busy season.